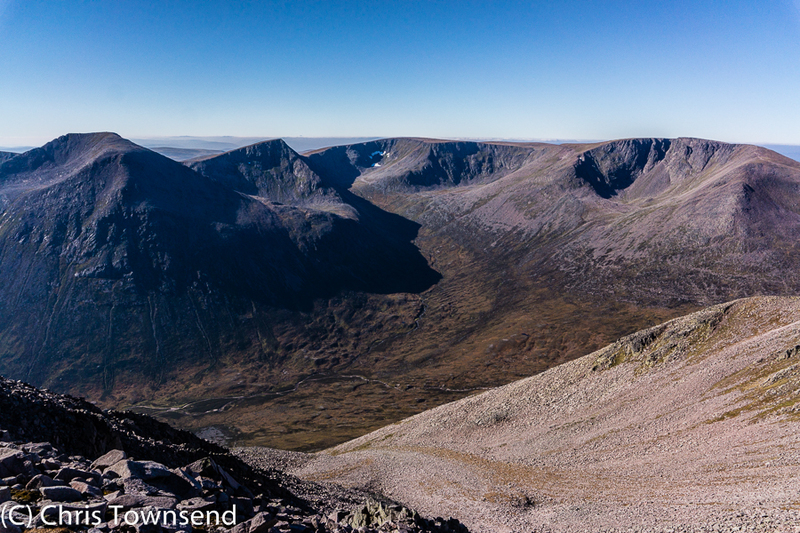 October is often a fine month in the Cairngorms and so it has proved so far this year. Last week on a fine evening I climbed up to the Cairngorm Plateau and headed for the Feith Buidhe, a high level stream that crashes down the steep headwall of the Loch Avon basin in a series of falls and slides. On the edge of the basin I cast around for a camp site amongst the jumble of granite slabs and boulders. Below big snow patches, the last remnants from the previous winter, stretched across the rocks. 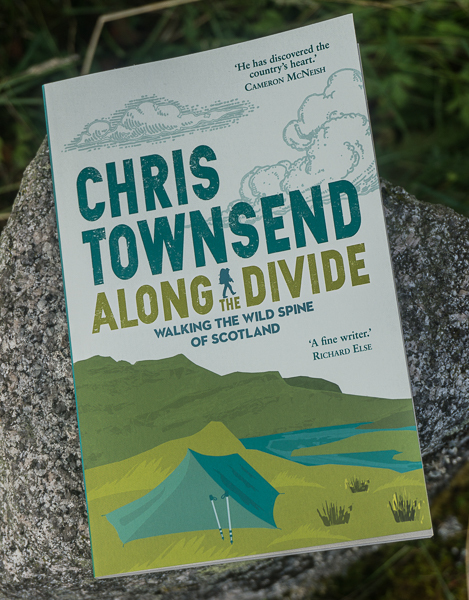 Eventually I found a flattish patch of ground with enough soil to hold pegs and pitched my tent as the sky grew dark. 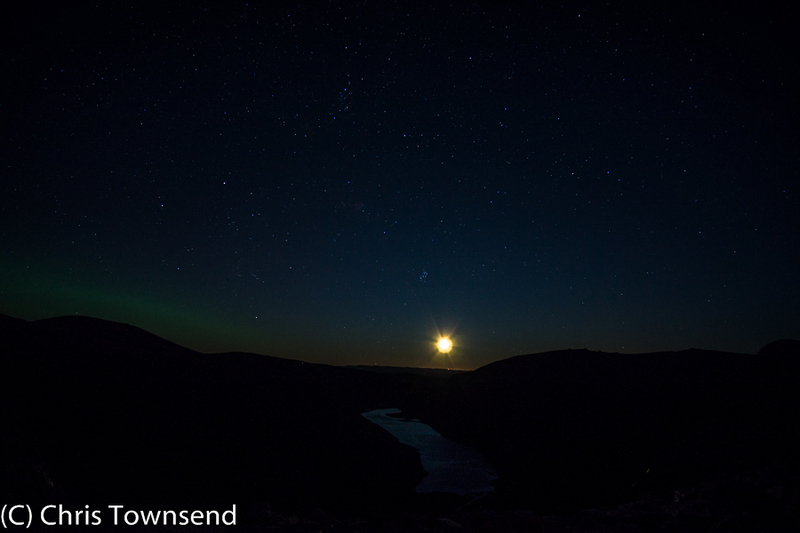 A bright waning moon rose above the long pale line of Loch Avon. Stars glittered. A wind swept across the slopes, rustling the grasses. I sat outside watching the sky and the dark. Stags roared from far below. I was woken by the rising sun shining straight into the tent. The was chilly but soon the air was hot anywhere shaded from it. Reluctant to leave this spectacular spot I wandered round the camp inspecting the snowfields, relishing the rough, sparkling granite slabs, and watching the Feith Buidhe begin its long fall. 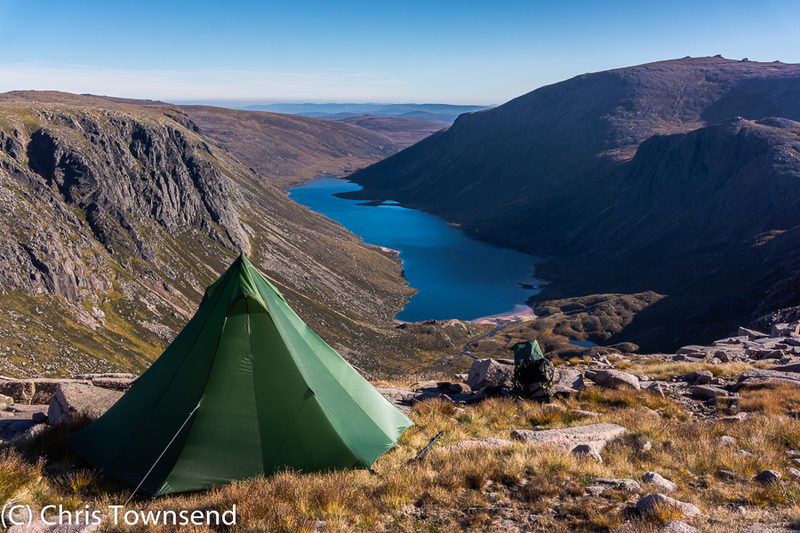 Eventually I packed up and headed away, uphill to Ben Macdui. 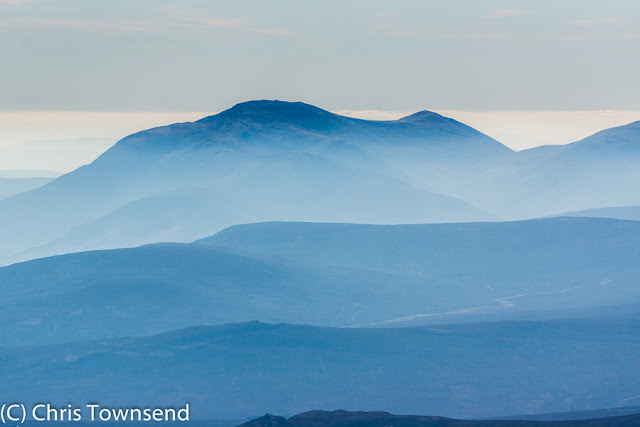 The air was sharp and clear here in the Northern Cairngorms but farther afield was hazy and there was thin mist in the glens and round the mountains. Out west there was much cloud with just the summit of Ben Nevis rising above it far in the distance. To the south the hills were silhouettes under the bright sun. 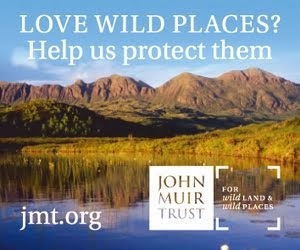 I wandered back across the Plateau, revelling in the sunshine – something lacking for much of the summer – and the wonderful views. 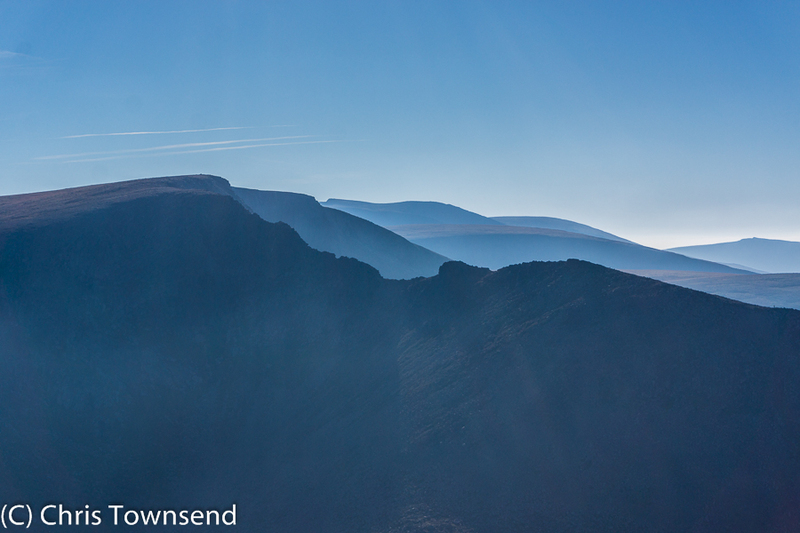 As I began my descent I looked west across pale ridges. It had been a magnificent welcome to autumn. How can anyone not be enchanted by them. Such amazing mountains and a special place for me to backpack. At the end of a hard week Chris that post has cheered me up a lot. Gorgeous pics again. 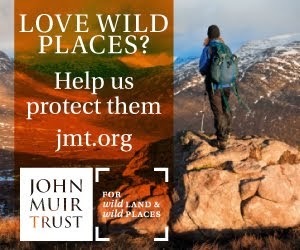 The Cairngorms will always be a very special place for me. These views make me yearning to put on my walking boots and return there on the spot ! Fabulous article Chris and it looks like you have caught the faint green glow of the Aurora in your "moonrise over Loch Avon" photo. 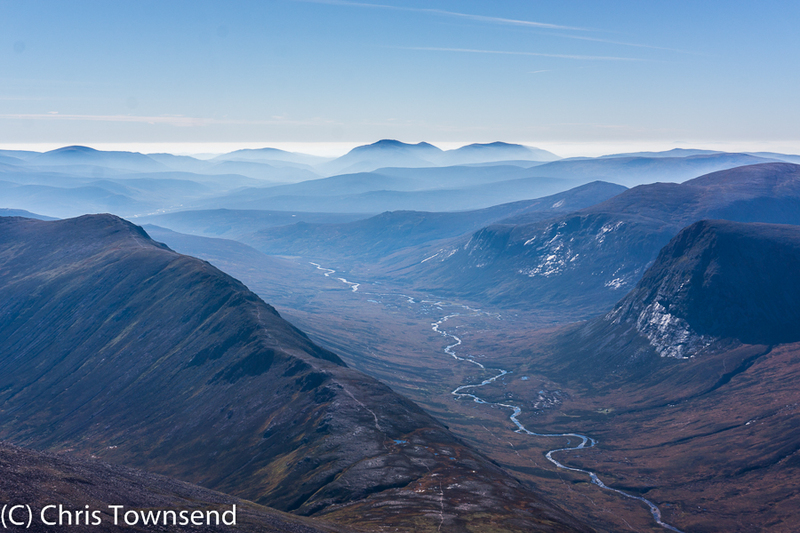 The Cairngorms are wonderful in autumn. Where you out during the Northern Lights display on Wednesday? It was misty here! I went outside a few times and saw a single star once.